Indian Oil Corporation Ltd. R & D Centre, India and Deakin University, Australia have joined hands(signed a MoU) to provide Indian Oil Deakin Research Fellowship 2017 for 4 students in the field of Biotechnology, Lubricant Technology, and Tribology. Selected candidates will undertake Research work at IOCL Research & Development Centre, Faridabad, India under the PhD. Research programme on a full-time basis. The candidates applying for the fellowship should have a valid CSIR-UGC or NET-JRF Qualification. The application for Indian Oil Deakin Research Fellowship has to be downloaded and sent with the required documents. The application has to be sent via Email only and the last date to apply is 15 November 2017. Country for Study: India and Australia. Quality Master’s (M.Sc.) degree in Chemistry (Organic/ Inorganic/ Physical/ Analytical), Biotechnology, Microbiology, Biochemistry or related Sciences and M.Tech in Biotechnology, Mechanical Engineering or Tribology with valid GATE Scores (>75 percentile) from recognized Indian University. First class in Graduation and Post-graduation level (65% or above marks in the final exams/ equivalent CGPA). Master’s degree in Chemistry, Biotechnology, Microbiology, Biochemistry or related Sciences candidates should have valid CSIR-UGC NET or DBT-BET qualification and meet requirements for JRF or DST-Inspire Fellowship. The candidates will be registered for PhD programme at Deakin University, Australia. The candidate will get an opportunity to travel to Deakin University, Australia for at least one period of 6 months during the programme duration of 4 years. 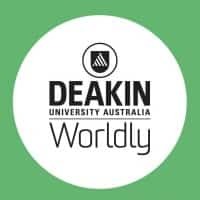 Deakin University will arrange for boarding and lodging and pay for the research visit and pay the costs of one return airfare and accommodation. Fellowship amount offered by IOCL is 25% more than that offered under CSIR/UGC Research Fellowship scheme. HRA will be permissible as 30% of the Fellowship Amount. The application for Indian Oil Deakin Research Fellowship has to be sent with the required documents and should reach latest by 15 November 2017 to the Email given below Email Address along with the documents given below. Detailed CV which must include the academic percentage. Self-attested photocopies of Educational Qualification. The candidates have to write a one-page write up in the prescribed proforma available on the website answering "Why they want to join this fellowship program"
To apply, please send detailed CV including your academic percentage, brief one page write up on the research topic of Interest and research publications to Ms Gayathri Vedanarayanan at gayathri.v@deakin.edu.au. Shortlisting for Interview: Upon submission of the application, the eligible candidates will be shortlisted for subsequent discussions and interview at New Delhi. The candidates would be intimated about the shortlist only on the email. Interview: The shortlisted candidates after their application are assessed will be called for an interview. Candidates will be informed about interview dates on the email provided in the application. Note: The candidates who join Indian Oil Deakin Research Fellowships 2017 will not be able to avail the CSIR/UGC fellowships.